The first of six monthly RS Aero Winter Training weekends kicked off at Oxford over the weekend. 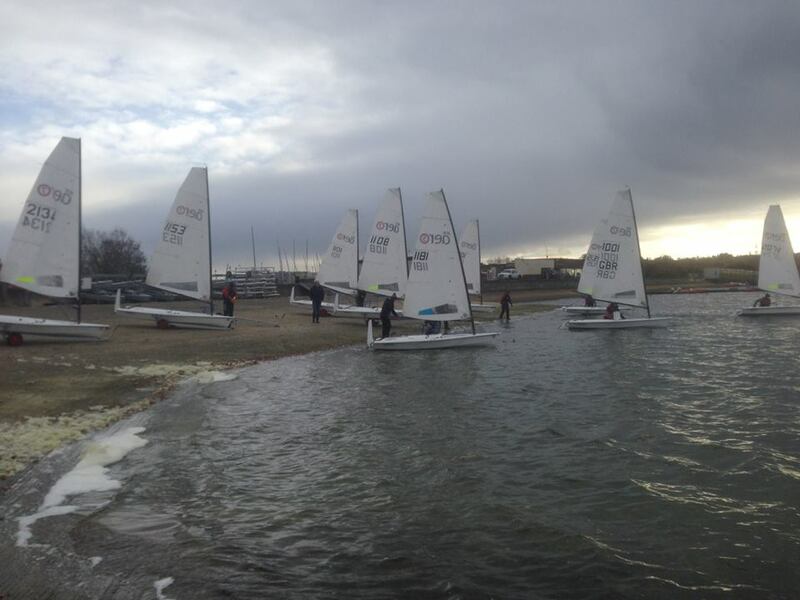 Twelve RS Aeros took to the water with a total of fifteen sailors taking part thanks to the opportunity from the RS provided charter/demo Aeros. Shaun Priestley headed up the weekend together with Paul Robson in a second coach boat. 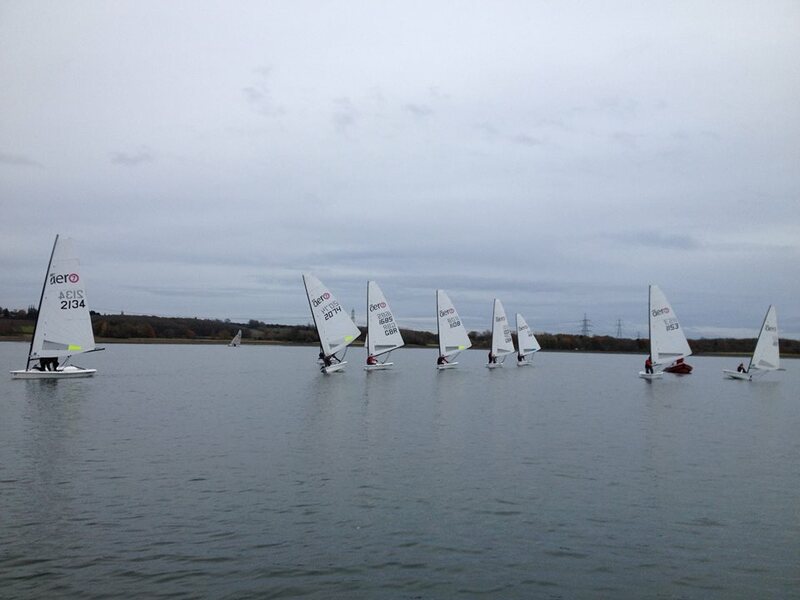 Peter Barton added to the RS Aero specific input and took to the water in an RS Aero for demonstrating and sparring. Coaching by example and not having to shout over a rib’s motor can be beneficial! Conditions were about perfect with a light breeze on Saturday working up to a fresher breeze on Sunday after the overnight storm had passed. Saturday’s focus was upwind technique and tuning in the morning followed by downwind and gybing in the afternoon. On Sunday the attention turned to starting methods, techniques and the necessary boat handling. The second weekend of the RS Aero Winter Training will join the RS Teras hosted by Hayling Island SC on 3/4th December, the venue of the RS Aero UK Nationals in 2017 with the focus turning to speed, waves and tide. The large home fleet of some 20 RS Aeros will swell numbers for a busy weekend. With all RS Aeros welcome several RS Tera parents will be joining us, not wanting to be left high and dry for the day after setting their youngsters afloat! Several more sailors are grabbing the opportunity to charter RS Aeros with those boats nearly all reserved now.